Setting Power management mode from "Adaptive" to "Maximum Performance" can improve performance in certain applications when the GPU is throttling the clock speeds incorrectly. 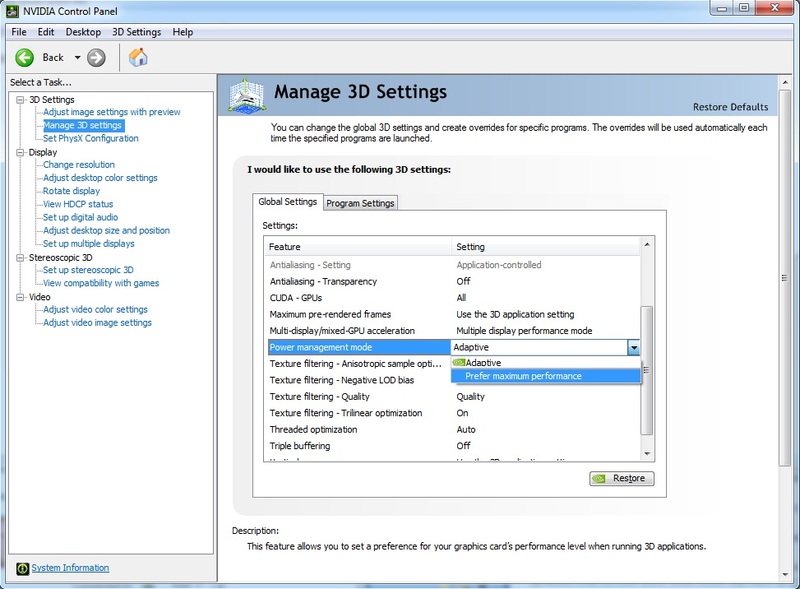 To change this setting, with your mouse, right-click over the Windows desktop and select "NVIDIA Control Panel" -> from the NVIDIA Control Panel, select the "Manage 3D settings" from the left column -> click on the Power management mode drop down box and select "Prefer Maximum Performance". Click over the "Apply" button at the bottom of the panel to apply the changes. Why does my graphics card run hot?